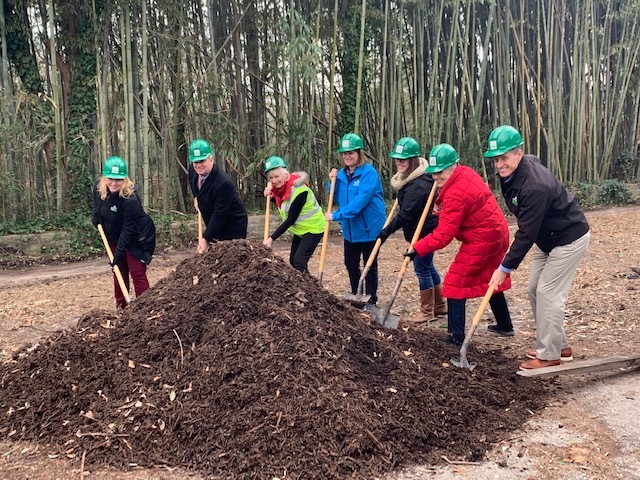 In partnership with the Virginia Zoo, the Rotary Club of Norfolk, together with the Rotary Club of Hampton Roads, Norfolk-Sunrise Rotary Club and the Virginia Beach Rotary Club, have applied and received funding support to assist in the creation of an interactive NATURE PLAY space. The space will provide families visiting the Zoo with a shaded, safe place to explore and play in a natural setting. In addition to helping Zoo Horticulture Staff with landscaping, Rotarians will help install Rotary-logo enhanced educational signage/pop-ups, Sensory Tables, Bench seating, Dig Box, and a Willow Tunnel. The Virginia Zoo is committed to connecting people with nature, inspiring conservation, and empowering change. With over 500,000 annual visitors (200,000 of whom are children), the Virginia Zoo reaches a diverse audience of Hampton Roads residents (note: all local school-aged children enjoy free admission to the Zoo). Connecting people to nature, particularly children, is the key to environmental stewardship and wildlife conservation. 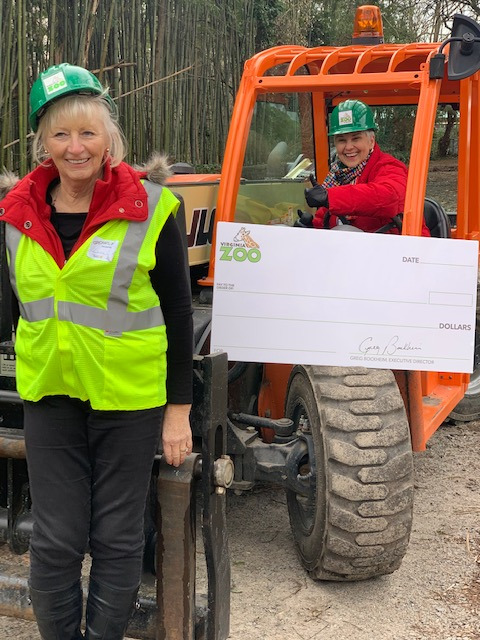 A Rotary District 7600 grant in support of the NATURE PLAY project will help the Zoo to build this dedicated 25-acre family-nurturing play space, as well as increase the Zoo's capacity to offer educational programming for children of all ages. Rotarian volunteers will be a tremendous asset not only to helping create the NATURE PLAY area, but also as ongoing helpers with horticulture education programs and single-day volunteer efforts. Rotarians will assist the Zoo Horticulture Team with general landscaping tasks, including creating plant beddings. A formal "Rotarians-at-Work Day" is planned during days immediately prior to the gala ribbon-cutting opening: all participating Clubs will be asked to lend volunteer hands to assist the Horticulture Team in final landscaping details.